In the past year, I've kind of been collecting orangey eye and face products. It's become one of my favorite type of shades to wear besides warm browns / bronzes. 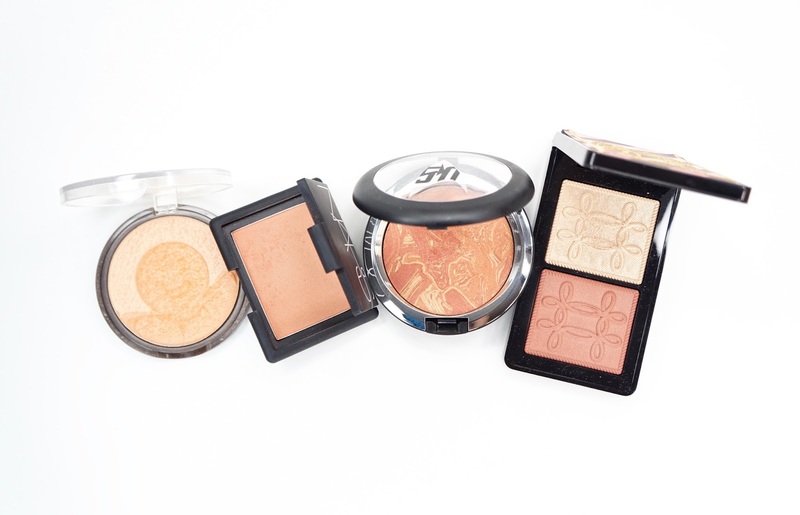 While I do have more orangey products, the ones in this post have become some hard favorites and are always at my main desk where I do my makeup. Blackbird Cosmetics Pressed Matte Luxury Eyeshadow in Fire Pledge was one of the original orange eyeshadows in my collection and it was mostly because I thought it would be a dupe for the NARS Eyeshadow in Persia. They are actually pretty close dupes, but.... I still really wanted both and I'm glad I have both! Fire Pledge is a bit more brown and Persia is a bit more burnt orange if it matters though. I also got MAC Cosmetics Red Brick because I thought it was another dupe, but this shade is actually a brighter orange than both Fire Pledge and Persia. Moving on to some shimmery shades! The Tarte Tarteist Metallic Eyeshadows have become a quick formula favorite and I've already gotten 4 shades from this line. The orangey shade from this line is Scandal and I was pretty surprised to see that it was also close to Sugarpill's Loose Eyeshadow in Penelope but there's a bit less sparkle in Scandal. 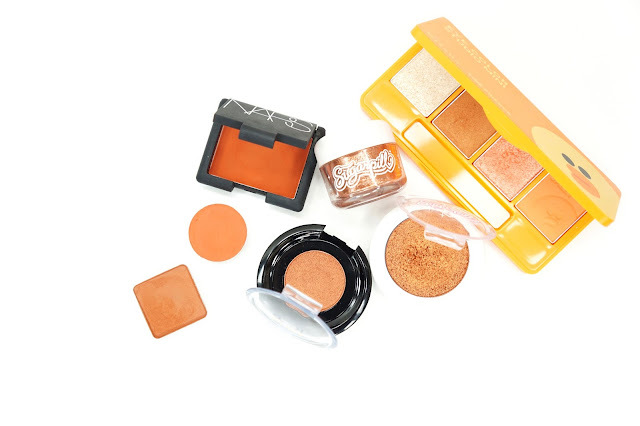 Sugarpill's Pressed Eyeshadow in Pumpkin Spice is another shimmery orange shade and I treasure it so much since it is limited edition. It is a bit brighter than Scandal and Penelope, but I feel like all three could look the same on the eyes depending on how you apply them. Lastly for the eyes, the Missha Eye Color Studio Mini in #3 Sally Orange has some amazing warm orangey tones to it. 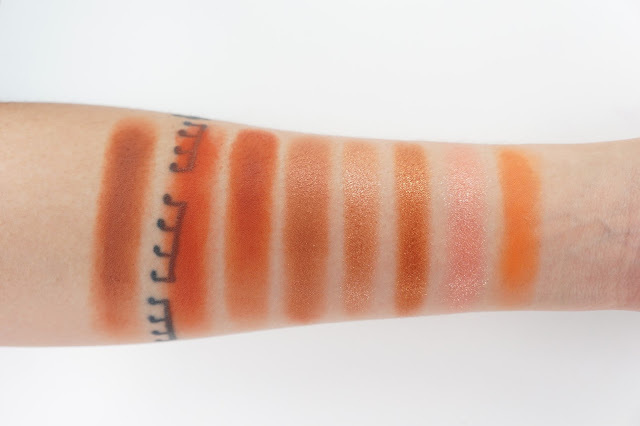 I only swatched the two right shades below, but even the bronze shade leans more orange to fit in with the palette. This palette is also limited edition, but I can still find it on some kbeauty websites! The eyeshadows are more thin and sheer than traditional western eyeshadows though and so I usually use this palette when I want to go more less intense on my eyes. 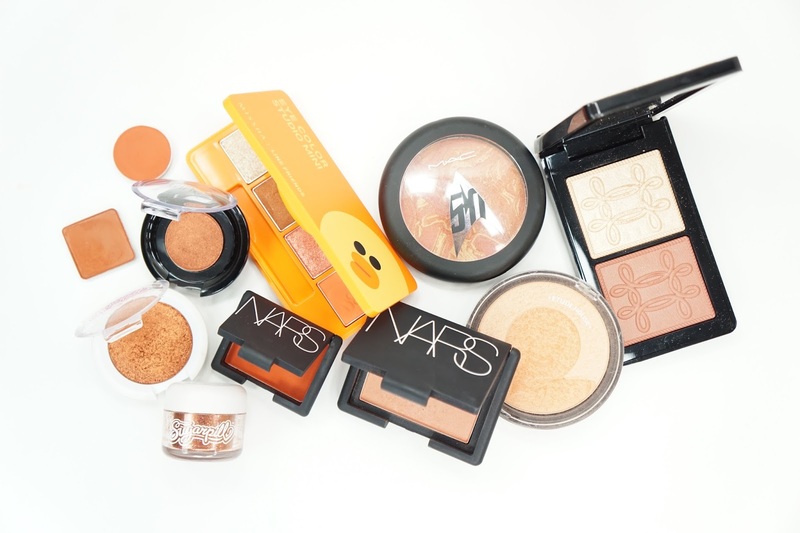 For the face, I love orange and bronzed orange shades but not really corals. Corals tend to turn very pink on me and I personally don't like pinks on my cheeks anyway. Unfortunately, 3/4 of these products are limited edition and are unlikely available to purchase anymore but I'm hoping that I can find dupes soon since they're all beautiful! The Etude House Snowy Dessert Ginger Cookie Blusher* is a light orange blush, but I tend to use it as a glowy orangey highlighter. It would work better as a blush on pale skin tones, but I dig the sheen and look it gives me when I apply it on my medium skin tone as well. If I were to add a stronger orange base with the same slightly goldeny sheen, I would get NARS Luster! Luster was something I wanted for a couple of years, but I finally got it as a "treat yo' self" gift recently. The formula is so smooth and lasts all day. 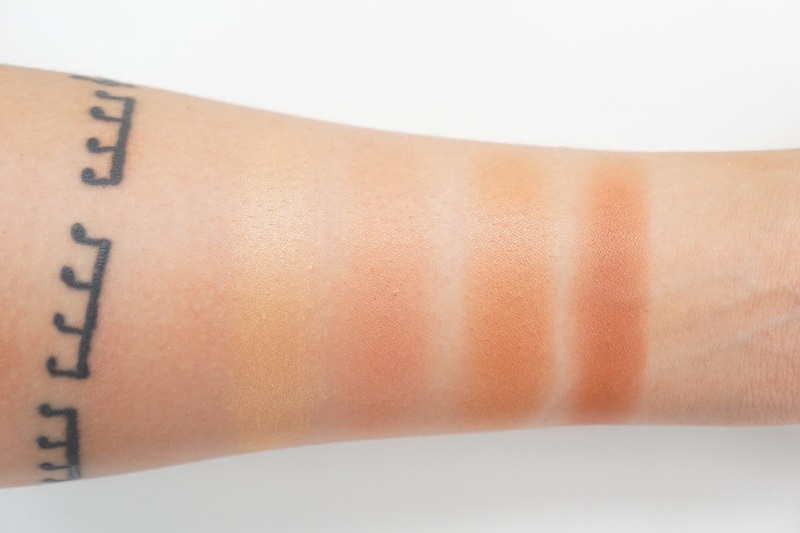 Like the Ginger Cookie Blusher, Luster is also on the sheer side but it builds up faster to be more pigmented. MAC Cosmetics certainly has a way with Limited Edition products, but I wish they were in stock for longer than 10 minutes! I was able to get the MAC Cosmetics x Star Trek Trip The Light Fantastic Powder in Strange New Worlds, but the Nutcracker Sweet Copper Face Compact was a struggle. I thought it was going to be sold out everywhere, and I was so surprised when I got an email saying it was in stock. Again, it was in stock for less than 10 minutes but I was able to get it! The highlight, Whisper of Gilt, was the huge reason this compact sold out quickly but I'll be talking about Pleasure Model in this post. Pleasure Model is a medium dark bronzy copper / orange shade that is so flattering on my skin tone.. I haven't tried Extra Dimension Skinfinishes before, but this one is definitely a winner. I love the shade and the slight sheen it has is so lovely. Strange New Worlds is a brighter orange and has a more shimmery finish. I'm very happy with both and MAC Cosmetics really needs to get it together so that LE products aren't sold out so fast! Have you tried any of these products before? Do you have any orangey face and eye product recommendations? *Etude House sent me the Ginger Cookie Blusher last year as part of the Pink Bird Program. I was only asked to do a review, but all opinions are 100% honest and my own.